David J. Burney, Commissioner of the Department of Design and Construction, manages more than $6 billion of the City’s public works program. DDC maintains a relatively low profile, but its work on infrastructure and municipal facilities for the City’s frontline agencies currently includes roughly 170 design projects and 235 construction projects. DDC projects throughout the City range from the installation of sidewalk pedestrian ramps to the construction of new firehouses and libraries. Notable projects include the expansion of the Brooklyn Children’s Museum, the reconstruction of Columbus Circle, and the FDNY Training Facility on Randall’s Island. From his office in Long Island City, Burney spoke with CityLand about the agency and its role. The first architect to lead DDC, Burney studied at the University of London’s Bartlett School of Architecture. He moved to New York City in 1982 and worked at a private architecture firm, Davis Brody and Associates (now Aedas), on projects such as the Rose Building at Lincoln Center and Zeckendorf Towers on Union Square. 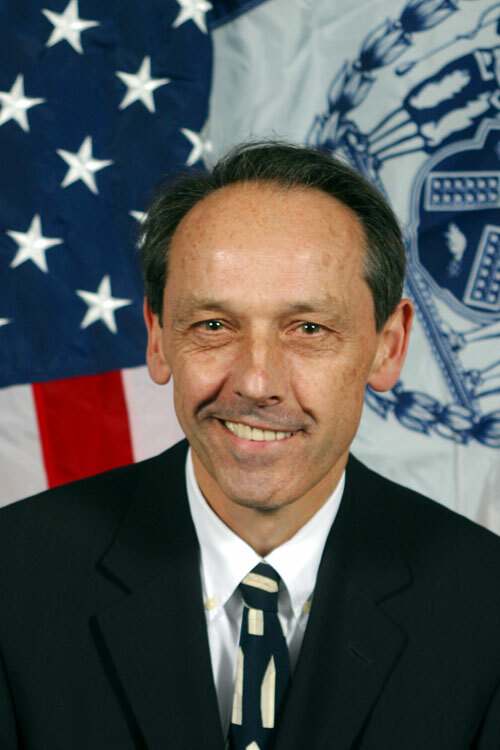 Burney entered the public sector in 1990 as Director of Design and Capital Improvement for the New York City Housing Authority, where he was responsible for setting design standards for its capital program. Burney remained at NYCHA until 2004, when Mayor Michael R. Bloomberg appointed him to head DDC as Commissioner. Centralized design and construction. Burney described DDC as a professional project delivery agency that manages design and construction for its client agencies. The Giuliani administration created DDC in 1996 to centralize the construction of capital projects. Prior to the creation of DDC, City agencies main were responsible for implementing their own capital projects, which often fell outside of an agency’s primary function. DDC relieves client agencies of this burden. According to Burney, DDC’s role is to build firehouses so that the FDNY can concentrate on responding to emergencies. Also, prior to DDC’s creation, routine infrastructure projects were often not coordinated between agencies. This led to problems when, for example, the Department of Environmental Protection ripped up a street that had only recently been resurfaced by the Department of Transportation. Now, DDC is responsible for performing roadway work for DOT and sewer and water construction projects for DEP. Impact of design. Burney recognizes that while City-funded public projects must remain within budget and time constraints, design is also a major concern. The focus on design increased after Mayor Bloomberg asked Burney to implement the Design and Construction Excellence program at DDC. This program, with the help of the Mayor’s Office of Contract Services, introduced quality-based selection for the procurement of design services, allowing DDC to attract award-winning and emerging design firms for City projects. DDC also promotes sustainability initiatives. In 1999, DDC’s Office of Sustainable Design published High Performance Buildings Guidelines as a green-building reference. The agency then began work on a group of pilot projects incorporating the guidelines. One of the pilot projects, the Queens Botanical Garden’s Visitor & Administration Center, was the City’s first new public building to earn LEED Platinum certification. Referencing DDC’s work, the City Council passed a law in 2005 requiring that all City projects over $2 million achieve at least LEED Silver certification. Burney believes that raising the quality of the design of City projects improves the quality of neighborhoods and leads to a better city. Noting the abundance of Cityfunded projects throughout the five boroughs, Burney said that even with small projects DDC can have a positive effect on the quality of life. Burney described the recently re-opened Central Harlem Health Clinic designed by Stephen Yablon Architects. Before its renovation, Burney said, it looked shabby and lacked privacy, but now it looks more like Sloan-Kettering. He said that attendance at the clinic increased because people felt more comfortable going into the renovated building. The changing nature of libraries. Burney is particularly excited about the nearly 80 public library projects that DDC is currently working on. He was surprised to learn how much the nature of the library had changed from when he was young — when libraries were “mausoleums for books” with big classical facades. Today, he noted, libraries have essentially become community centers. They offer classes and provide computers with internet access. As an afternoon gathering place for schoolchildren, libraries can be a resource for working parents. Burney illustrated the new model of a library with renderings of the Marble Fairbanks-designed Glen Oaks branch of the Queens Borough Library currently under construction. The Queens Library system has the largest circulation of any library system in the country and is the fastest growing in the City. Behind a transparent facade, the new building will feature an open light-filled interior with reading rooms and community meeting spaces.